Shopping for Metal Gear Solid Action Figures? From Metal Gear Solid 2: Son of Liberty, it's the infiltration specialist, Solid Snake! Due to the smooth yet poseable joints of figma, you can act out a variety of scenes from the popular video game series Metal Gear Solid with this 6 1/4-inch tall figure. 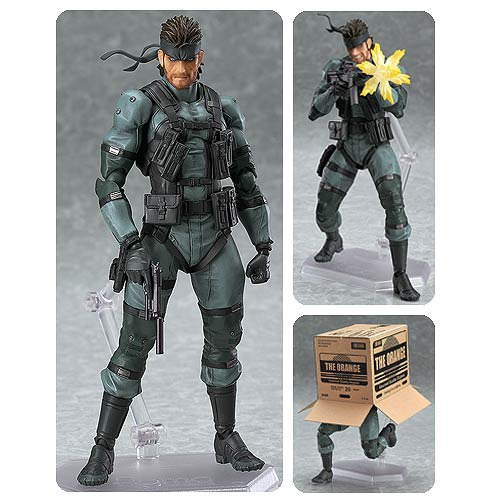 The Metal Gear Solid Snake Figma Action Figure comes with a poseable figma stand, so whether Snake is sneaking around or fighting terror, you can easily maneuver him! Ages 14 and up.